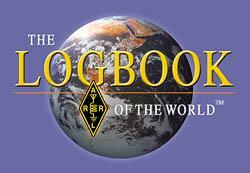 The club now prefers to offer electronic only QSL via either EQSL, QRZ or LOTW. Click the logo’s below to go to the relevant site. We have created an electronic log and uploaded it to our web site for visitors to peruse. Our special event stations have their logs uploaded shortly after the event and the other general club station logs are uploaded sporadically. Enter your callsign in the box below and click search to see if you’re in our log.